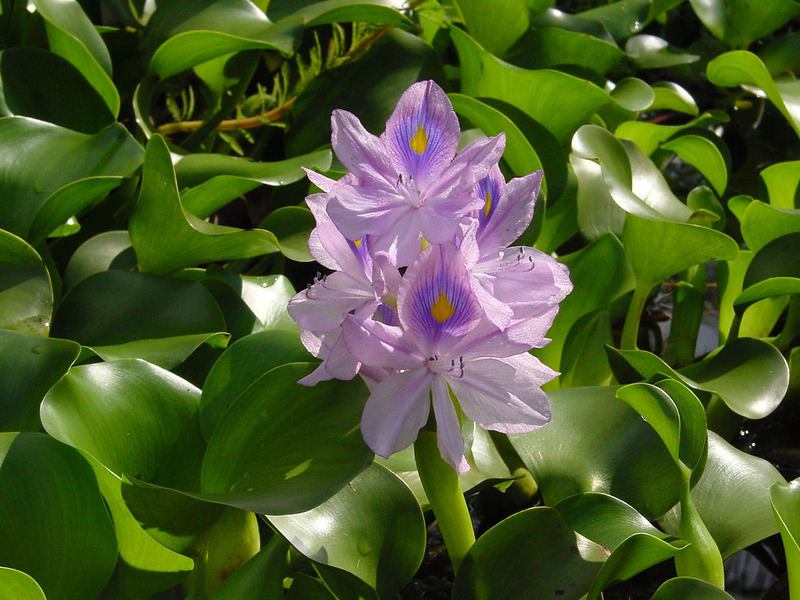 Eichhornia crassipes (water hyacinth) is a floating freshwater perennial (family Pontederiaceae) that jams rivers and lakes with tons of floating plant matter. Floating mats of this plant can weigh up to 200 tons per acre. In California, Eichhornia crassipes typically is found below 660 feet (200 m) elevation in the Central Valley, San Francisco Bay Area, and south coast.